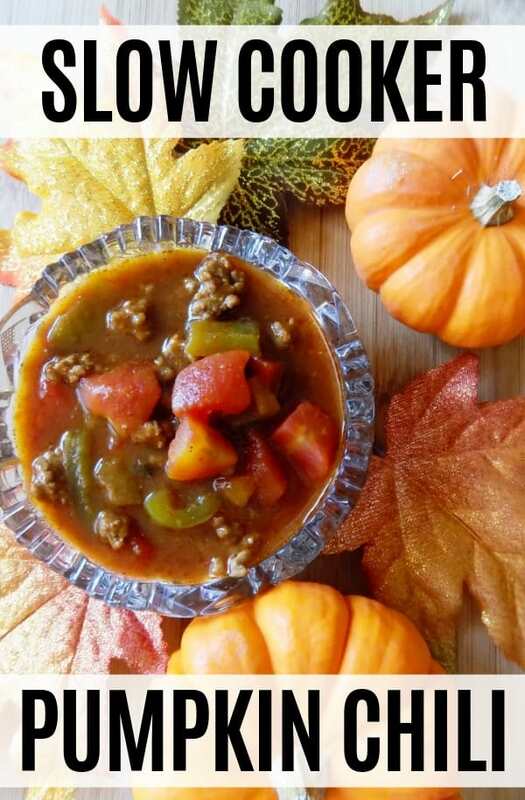 A savory Fall slow cooker Pumpkin chilli recipe perfect for warming your bones up on a cool evening. When you think about chili, chances are you’ve never thought about adding pumpkin to it. 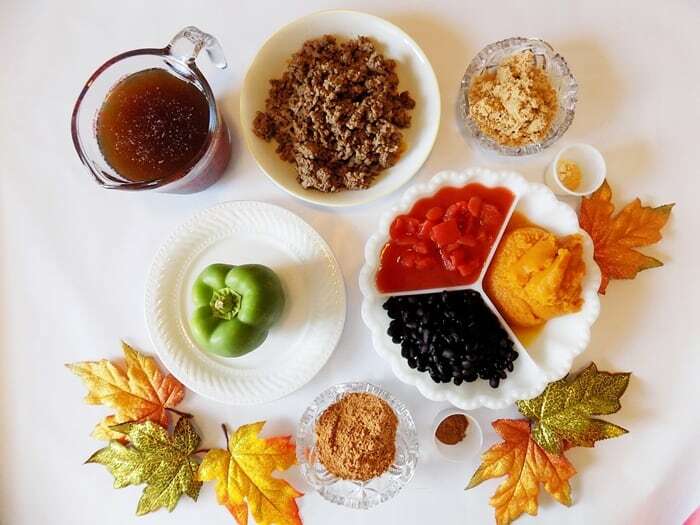 But, if you want to try something new this Fall, this pumpkin chili recipe is a great option. 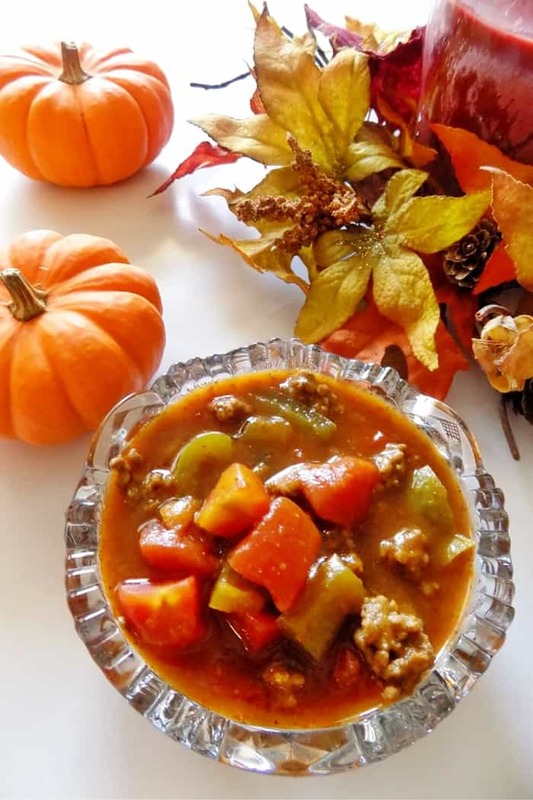 This pumpkin chili is cooked in the slow cooker, allowing you to go about your day as it cooks. You’ll be amazed at how good it smells as it cooks. 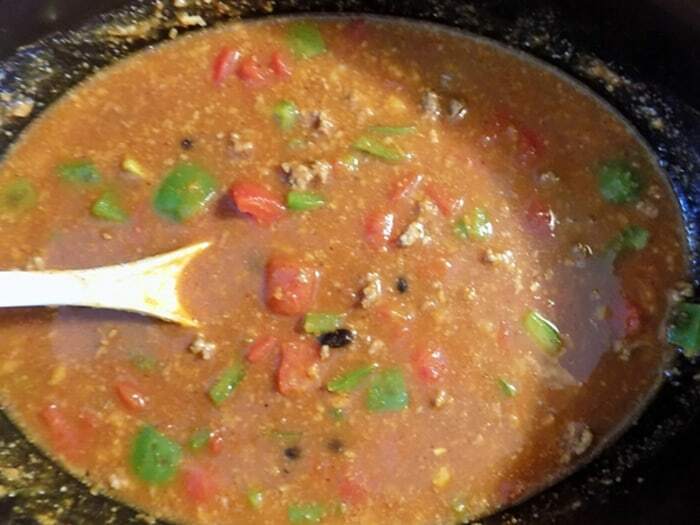 The scent of beef, onion, tomato, and cinnamon filling the air will have your stomach growling. The only real work this recipe requires is cooking your beef and veggies before adding to the slow cooker along with the other ingredients. After that, all you have to do is wait. A big batch of pumpkin chili is perfect for a bring to an Autumn potluck. People will be curious as to what the extra ingredients are in this batch of chili. You can tell them, or you can have fun with it and let them guess. If you want to lower the fat in this recipe, consider using a 93% lean ground beef or 98% lean ground turkey breast. You can also try adding fire-roasted tomatoes to change up the flavor. There’s no denying that this is a unique recipe and a flavor combination that you may not be used to. 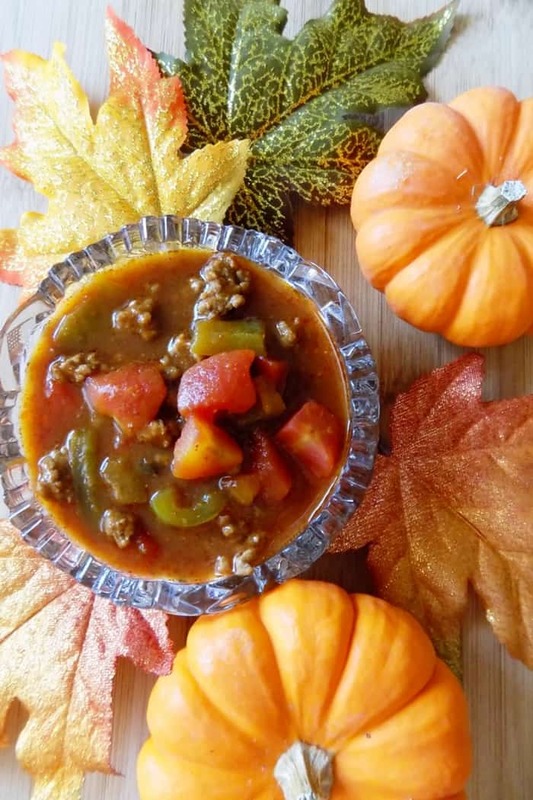 So why not try something new this Fall with this easy slow cooker pumpkin chili? It really is a perfect recipe for those looking for something new to add to their recipe collection. Saute green pepper in a skillet and set aside. Add all ingredients to slow cooker and stir. Heat on low for 6-8 hours, stirring occasionally. *If you substitute the onion powder for 1 onion, simply dice the onion and saute it with the green pepper in step 1. I’ve always wanted to try a pumpkin chili. So fun that it’s a slow cooker recipe too! Every year I make a pumpkin chili and what I love most about it is its subtle flavor. It’s not so overwhelming where everyone immediately knows they’re being fed pumpkin. I cannot wait to make this! It’s the perfect season for chili, and with pumpkin in it, it’s going to be amazing! 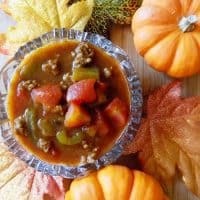 I’ve never had pumpkin chili before, I definitely need to try this! I love this idea for fall! Looks so flavorful!